In this post, I take a position in the middle: I believe that under some conditions, emitting-and-offsetting should be morally acceptable. Jane is a climate ethicist living and working in New York. She really wants to participate at a conference in the UK (say, the 2019 Conference of the Centre for the Study of Global Ethics in Birmingham!) and decides to fly over for the conference. Knowing that the carbon dioxide emissions of her roundtrip flights (her share would be about 2 tonnes) contribute to global warming, she feels uneasy about the endeavour. However, Jane knows an organisation that allows her to voluntarily offset her emissions: she pays a certain amount of money to the organisation, with which it funds a project that prevents 2 tonnes of carbon dioxide from being emitted elsewhere. 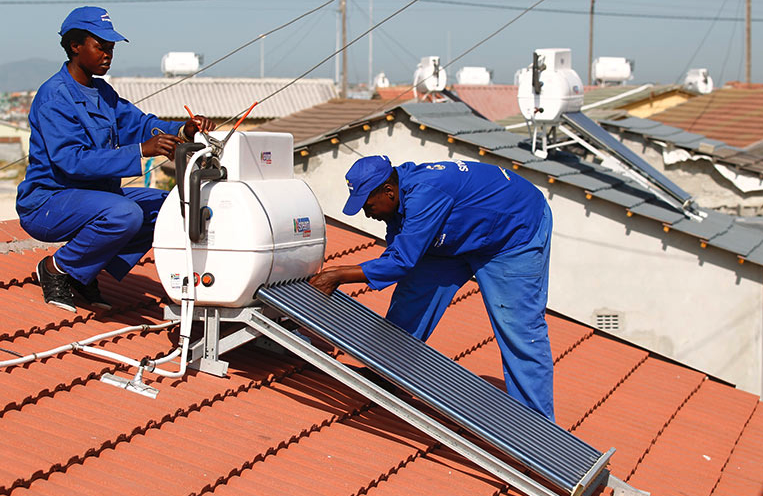 Typical examples include replacing inefficient wood stoves by more efficient stoves or solar cook ovens, investing in wind energy, and contributing to reforestation projects. The main advantage of offsetting is that – under certain conditions – the contribution of Jane’s emissions to global warming is effectively neutralised. The climate system does not care where or by whom carbon molecules are emitted, so – on consequentialist terms – if she can prevent the same amount of carbon from being emitted somewhere else, her contribution to global warming would, on balance, be zero. In addition, offsetting projects often stimulate transfers of technology, knowledge, and wealth from rich emitters to poor communities and contribute to sustainable development. 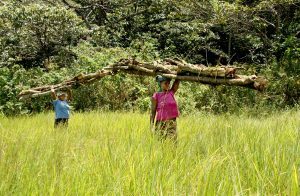 However, offsetting has also been called carbon colonialism, with the objection that relatively cheap carbon reductions in developing countries and poor communities are treated as commodities. In this way, offsetting allows the rich to perpetuate their unsustainable lifestyles by exploiting the poor, who are actually carrying out the emissions reductions. These objections are serious, but I believe that the baby shouldn’t be thrown out with the bathwater: emitting-and-offsetting may only be second-best to not emitting, it is better than emitting-without-offsetting. Offsetting may form a morally acceptable flexibility mechanism for individuals to comply with their climate change duties, if (and only if) the following conditions are satisfied. I will just list these conditions here and give some brief comments. For those who are interested in the rationale behind them and details of how these conditions may help overcome the objections against offsetting, I provide more information at the end of the post. MyClimate allows private individuals to offset emissions from air travel, car travel, a cruise, and your total household emissions. They offer the possibility to contribute either to their portfolio of projects (all of which fulfil the highest standards) or a specific project. For example, Jane can offset the 2 tonnes of carbon dioxide emitted by her roundtrip flight by investing €52/£47/$68 in a project that replaces inefficient woodstoves by efficient cookers in Kenya (by which deforestation and carbon emissions are reduced and indoor air quality is improved), or by donating €48/£43/$62 towards MyClimate’s portfolio of projects. Atmosfair allows you to offset flights, a cruise, a desired amount of carbon emissions, or to donate directly. They do not give you the option to choose between projects, but ensure that at least 90% of their projects adhere to the Gold Standard (see condition 3). Projects are also chosen for their support of sustainable development by transferring technology and combatting poverty. To offset the emissions of her roundtrip New York-Birmingham via Atmosfair, Jane would have to pay €60/£54/$70. Climate Care is a UK-based non-profit organisation that allows individuals and corporations to calculate and offset the emissions of their activities (flights, car travel, events, and energy consumption). By default, you donate to their portfolio of projects, but the website says that you could also get in touch with them to discuss a bespoke approach. The wide range of projects all fulfil the requirements of the Gold Standard or other internationally recognised standards (see condition 3). For each project, it is also specified towards which Sustainable Development Goals it contributes. Jane would have to pay €13/£11/$15. (This is an update on 15 October 2018, with thanks to Kian Mintz-Woo for the suggestion). These conditions already go a long way in avoiding carbon colonialism. For example, delivering additional benefits to the poorest (condition 3) ensures a maximal impact of technology and money transfers and especially paying a fair price (condition 5) at least reduces the charge of exploitation. On the basis of this fifth condition, I would recommend to go with MyClimate or Atmosfair, rather than ClimateCare, because the latter’s price seems too low, even though it meets the rest of my criteria. 6. Do not offset lightly: offsetting remains a second-best solution, for emissions that are non-trivial and unavoidable. This at least requires you to critically reflect upon and justify the activities through which you emit the greenhouse gases to be offset. These conditions ensure that offsetting is not used to perpetuate a profligate lifestyle by exploiting the poor. They only allow people to emit-and-offset as a second-best solution. Admittedly, it remains ambiguous what constitute non-trivial and unavoidable emissions. I will not take a firm position here, but merely point out that this at least requires you to critically reflect upon and justify your greenhouse gas-emitting activities. Since you are engaging in offsetting emissions, and not in filling the pockets of some already-rich shareholders, the outlet through which you offset should be an independent, non-profit organisation. I am also worried that for-profit outlets are likely to subordinate other (morally more important) goals to their primary goal of making profit. There is a real risk that this will influence the choice of projects: it would be hard to resist the temptation to choose dubious projects with a higher profit return, rather than projects with clear additionality and which benefit poor communities, but have a smaller return. Moreover, many for-profit offsetting outlets grossly underestimate either the emissions of the activity or the price of offsetting. This amounts to greenwashing – the deceptive use of green marketing to promote the perception of environmental friendliness. Perhaps not very controversial, this nonetheless turns out to be a tricky condition: most offsetting outlets are for-profit, and this condition is thus the most important reason why I can only recommend MyClimate and Atmosfair. Transparency is important. Offsetting organisations should provide reliable information about the projects in which they invest, which proportion of your money goes to the project, how much a particular project reduces carbon emissions, the additional benefits it may have in terms of sustainable development, and the standards the project fulfils. Only then can individuals like Jane make an informed decision. 3. Select a project that has been verified by a certification organisation: to make it easier for you to determine whether offsetting projects satisfy the more technical requirements (such as additionality), some independent organisations evaluate offsetting projects on their effective emission reduction, among other criteria. For example, the Gold Standard is awarded to projects that effectively contribute to protecting the climate as well as to at least three additional Sustainable Development Goals. An important, but technical issue regarding offsetting is additionality: to qualify as a genuine carbon offset, the emissions reductions achieved by a particular project have to be additional to what would have happened without the project. This is a complicated issue, and difficult for individuals to judge, but there are a couple of organisations that evaluate carbon offsetting projects on their additionality and a number of other technical criteria. The Gold Standard is one of the best examples of certification. Established by the WWF and other international NGOs, it independently evaluates offsetting projects. In addition to protecting the climate (including scoring well with respect to the additionality criterion), a project certified under the Gold Standard must also contribute to at least three Sustainable Development Goals (for example, creating new jobs, increasing gender equality, improving health, and protecting natural ecosystems, biodiversity and endangered species). There are other robust certifications, but as far as I am aware, the Gold Standard is one of the most demanding. The certification condition simplifies the issue of offsetting significantly, because Gold Standard projects also meet conditions 4 and 5. Some organisations offer offsetting projects in the developed world alongside projects in the developing world. For example, MyClimate offers projects to reduce emissions in Switzerland and Atmosfair supports projects in Germany. However, the developed, rich, polluting countries have a duty to reduce their greenhouse gas emissions as a matter of justice anyway, and these duties should not be fulfilled by funding from offsetting. Projects in the developing world are therefore preferable. Projects that not only reduce emissions in the developing world, but also have direct additional benefits for poor communities in terms of sustainable development should be prioritised. 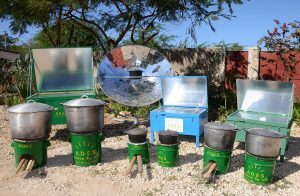 Solar cook stoves are a good example: in addition to reducing carbon emissions, they reduce indoor air pollution, deforestation, soil erosion, and the time that people – especially women and girls – have to spent gathering wood. I believe that this is an important guarantee against the charge of carbon colonialism. Jane still ‘outsources’ the reduction of her emissions to, for example, a poor community in Kenya. However, if her chosen project not only reduces the emissions there, but also has additional benefits for the community involved, it would be unfair to say that she ‘exploits’ these people. From its onset, the voluntary offsetting market has been victim to cowboys. A simple internet search will find many companies who offer offsetting at a few euros/pounds/dollars per tonne carbon dioxide. However, the lower the price, the higher the risk of supporting inferior projects that have a dubious additionality and do not contribute to sustainable development in poor communities. 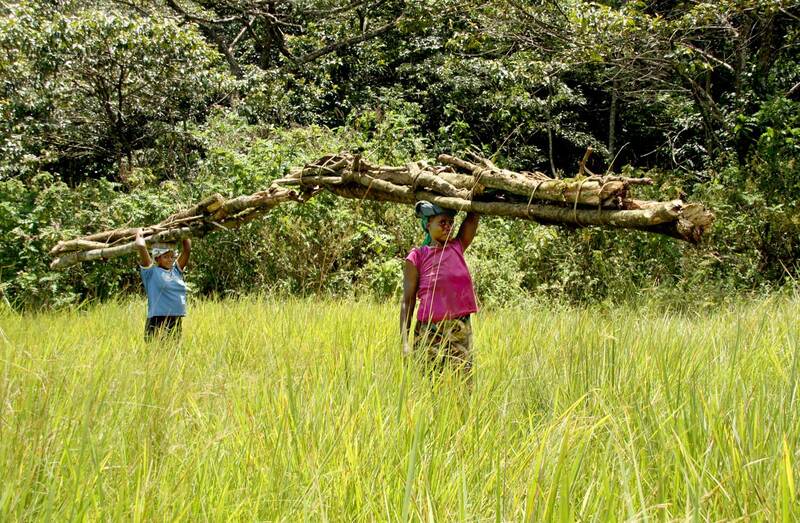 Offsetting cheaply increases the risk of offloading responsibility on the community where the project is located (the charge of carbon colonialism). If your motivation to offset your emissions is a genuine concern about climate change, rather than merely appeasing your guilty consciousness, it would be inconsistent to try to cut corners and go for cheap, dubious offsetting. So, also considering the other conditions, offsetting should not come cheap! There is a large price difference between the organisations mentioned above. This is due to (a) different carbon emissions calculations, and (b) the choice of projects. Especially ClimateCare appears to be a lot cheaper. I cannot exclude ClimateCare because it meets the rest of my criteria, but I would recommend, if you can afford it, to rather go with MyClimate or Atmosfair. The most important condition is that avoiding and reducing emissions should always get priority. Offsetting should not be seen as allowing one to emit, but rather as a second-best solution for when emissions are unavoidable. Emitting-and-offsetting can only be justified when there is no reasonable alternative to the greenhouse gas-emitting activity. In addition, emitting-and-offsetting can only be justified if the emissions serve a non-trivial goal. Trivial emissions should be avoided altogether. Jane could for example consider not participating at the conference at all or participating via teleconferencing. However, participating at conferences and being physically present serve valuable purposes of networking and in-depth discussion, which are important for Jane’s career. Nevertheless, she should be very picky about which conferences to go to – especially if participation requires a transcontinental flight. As I said, this is probably the most important condition, but also the most tricky one. It would be extremely difficult to draw a line between trivial and non-trivial emissions, or between reasonable and unreasonable alternatives. It is probably also a matter of a continuum rather than clearly delineated categories. What I can say, is that offsetting lightly would amount to carbon colonialism: carbon offsets should not be treated as mere fees for continuing one’s carbon-intensive lifestyle or as indulgences which appease one’s guilty conscience. The moral permissibility of emitting-and-offsetting at least presupposes comprehensive critical reflection on your emissions. Important to bear in mind here is that offsetting does not justify emissions ex post, but rather that the justification of the emissions ex ante depends on other morally valuable goals. I take it to be fairly obvious that offsetting emissions from a flight only relate to this particular activity. In addition to offsetting her roundtrip flights New York-Birmingham, Jane should work on other fronts to reduce her emissions (including her energy consumption at home, and her meat and dairy consumption), enable adaptation, and undertake political action to support climate change policies. Moreover, offsetting does not allow her to become complacent regarding other duties of global justice, including donating to charity and paying more for sustainably produced goods. I am a Lecturer in Global Ethics at the Centre for the Study of Global Ethics (University of Birmingham). I obtained my PhD in Philosophy and Moral Sciences in December 2014 from Vrije Universiteit Brussels with a dissertation on the challenges climate change (and other problems of environmental sustainability) pose to our conceptions of individual freedom and responsibility. Building on this, my current research focuses on the ethics of climate change, and the perspective of duty-bearers on issues of global justice. My broader research interests include global justice, human rights, climate ethics, cosmopolitanism and recognition theory. Are multi-buy discount bans paternalistic? How many thousands of conferences are attended worldwide by hundreds of thousands of delegates flying round the world rather than teleconferencing? Isn’t this rather hypocritical? Offsetting by paying money to a fund is like me paying a “fine” from my vast fortune as a conscious reliever for using my private jet. Thanks, Paul, for your comments. It is unfortunate, however, that you do not give a lot of arguments with which I can engage. But I’ll try. First, on the issue that there are many thousands of conferences attended worldwide. This is true, of course, but I hope you agree that Jane can only be held responsible for the emissions involved in flying to the conferences that she attends. Moreover, a lot of these conferences are not about climate change or climate ethics, and thus is your charge of hypocrisy not applicable. Second, as I explain in condition 6, Jane should indeed consider not attending the conference or attending by teleconferencing. However, physical attendance is sometimes unavoidable (for networking purposes and in-depth discussions). The main point here is that the activity should be justified with reference to its moral/social/political value. Offsetting as such does not justify emissions. Third, you hold that offsetting is similar to paying a ‘fine’. This is an important objection, but my reply would be twofold: (a) as I just mentioned, offsetting should not be treated as a mere fee for continuing one’s carbon-intensive lifestyle: the activity that emits greenhouse gases cannot be justified by offsetting, but only with reference to the goal they serve. (b) Emitting-and-offsetting is only a second-best solution. The best solution would be to reduce emissions. However, offsetting does fit into the transition towards a low-carbon society if used for emissions for which there are no reasonable alternatives available. In each case, emitting-and-offsetting is still better than emitting-and-not-offsetting, because it effectively cancels out the emissions. Therefore, I think that your charge of hypocrisy is too quick. I am also a bit confused as to which purpose it serves. I fully agree that not-emitting is the best solution, but by bandying around a pejorative such as hypocrisy, the second-best solution of emitting-and-offsetting will become much less attractive. I am afraid that calling people who emit-and-offset (the second-best option) hypocrites will not lead to them reducing emissions (the first-best option), but rather to them emitting-and-not-offsetting (the worst option).